Ideal for most woven fabrics, some knits and synthetics. 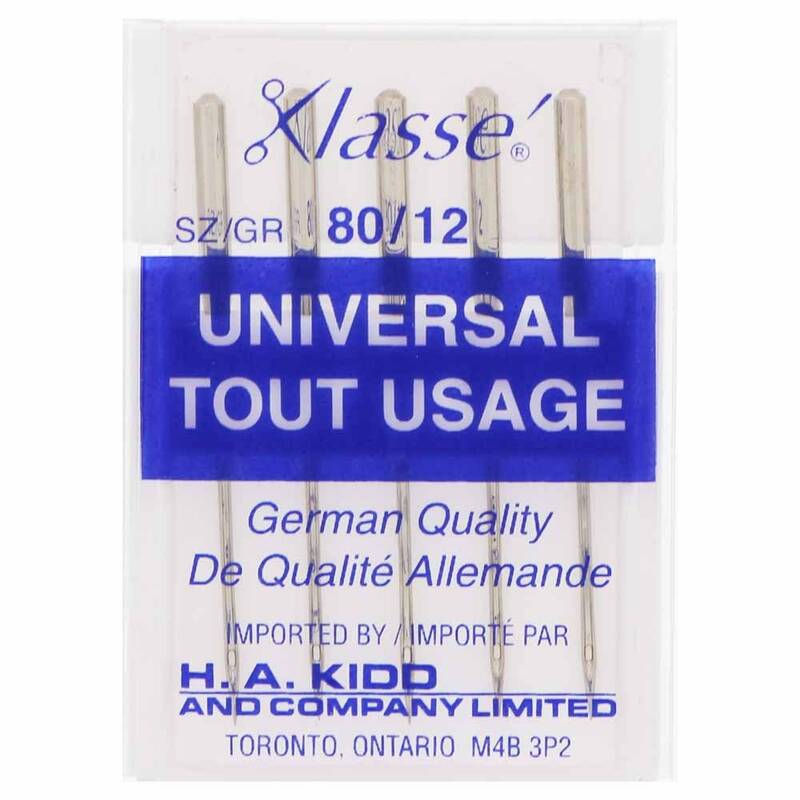 The Universal Needle has a slight ball point making it extremely versatile. It works well on most machines and is the most commonly used needle for synthetic woven and natural fibres. The finer needles are generally used on lightweight fabrics and the larger sized needles on medium to heavyweight fabrics. Suitable to be used with polyester / cotton or silk threads.